Prism Felt Me! 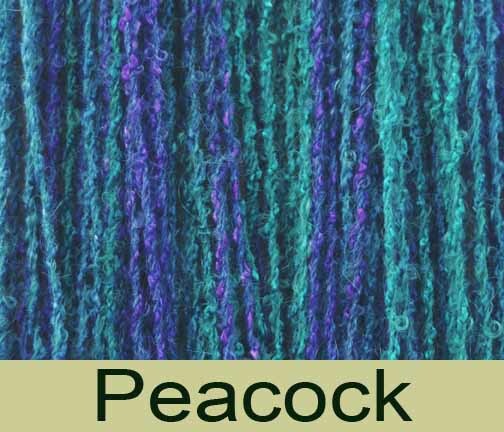 Yarn is a feltable blend of 50% wool, 42% rayon, and 8% nylon. Each skeins weighs 2 oz and measures 70 yds Suggested gauge after felting: 15 sts = 4" on a US # 11 needle. Felt Me! is another great combination felting yarn. Composed of a coarse wool loop supported by a nylon core and wrapped with a tiny rayon boucle, Felt Me! gets our double dye treatment. The wool and nylon are dyed one solid color from the color way, and then the rayon is dyed in the remaining colors. The effect, once felted, is a soft field of color punctuated by bits and flashes of color added by the rayon. It takes a fair bit of felting to get the wool loops to open up and felt hard, so don't be afraid to wash it some more. Felt Me! is available in sixteen colors. 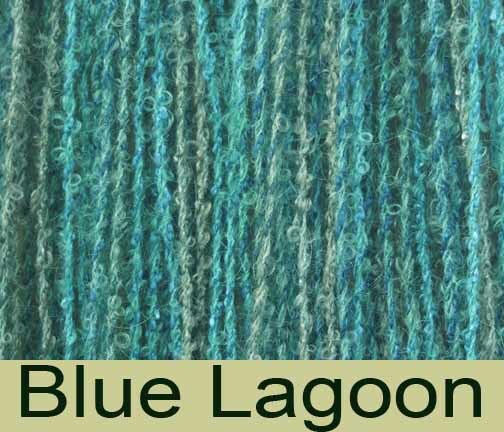 We like it alone, but we love it combined with our other felting yarn, Loopy. Of course, Felt Me! could also be combined with any wool to make a larger gauge.